On Tuesday the 7th March 4VO had a wonderful opportunity by connecting with the Orangutan Protection Foundation in Borneo. The OPF work at helping Orangutans that have lost their homes and family because of hunting and deforestation. 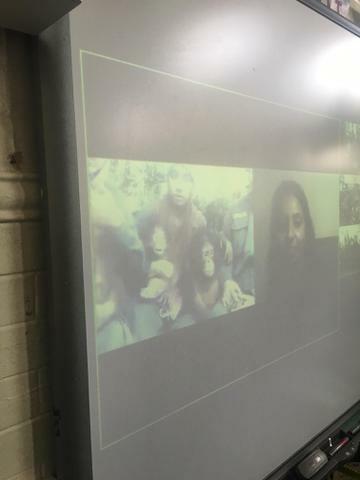 During the VC the children were able to see baby orangutans playing in the forest, hear them communicating and speak with the experts that look after them. The OPF gave the children lots of information and facts about their project and the Orangutans. 4VO learnt a lot and were able to ask wonderful questions about everything they saw. A highlight of the session came from one of our questions when we asked "What noises Orangutans make?". One of the Orangutan handlers was able to encourage the Orangutans to start making noises and we all heard the different sounds that they make. Thank you to the Orangutan Protection Foundation for giving us such an amazing experience and well done to 4VO for taking part with typical Highlands spirit. 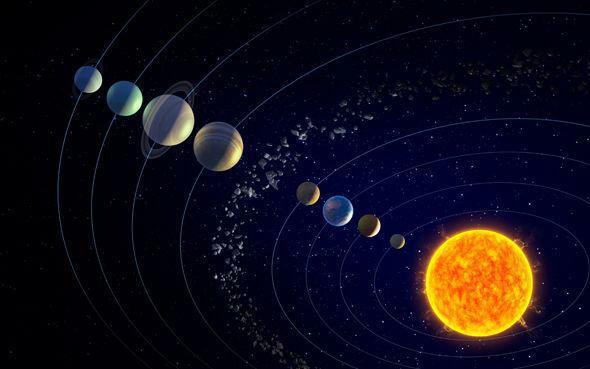 Year 5 have been learning about the Solar System as part of their creative learning this term. 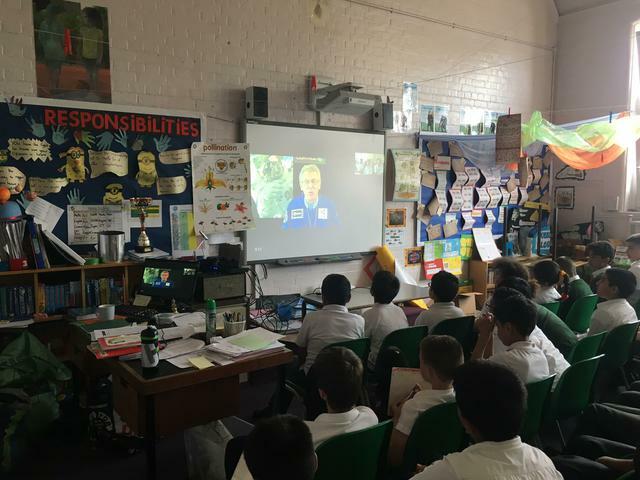 They had the opportunity to expand on their learning and have a VC with Chris Darby from the National Space Centre in Leicester. 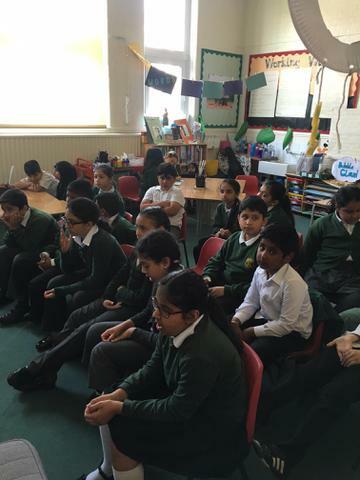 The session focused on the solar system and answering the questions that the children had. The entire year group took part and it was a humid afternoon. The children showed a wonderful desire to learn and made the 60 minute session sail by.